Cheezy Dog Treats Recipe: The Perfect Gift in a Jar for Your Favorite Pooch! Did someone say c-h-e-e-s-e???? Oh, man! I love cheese! All my brothers and sisters love cheese as much as I do too. So, when my Lady came up with this tasty Cheezy Dog Treats recipe of course we were all a droolin’! But, then she went one step further! Yep! You heard that right! 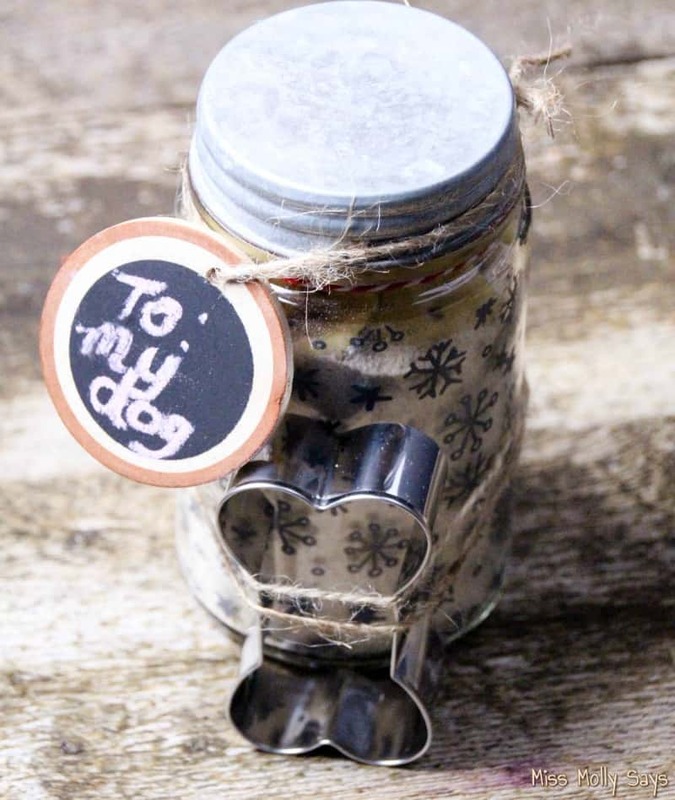 She turned this woofalicious homemade dog treat recipe into a ‘gift in a jar’ for us pooches! It’s perfect for birthdays, Christmas, or any special occasion. Or, who says we need an occasion 🙂 I mean think about it! Whether for your own pooch or a friends pooch, this is a gift that will earn you a high paw and a big slobbery smooch! WOOF! Let me go get my Lady to show you how to put the jar together and give ya the recipe! Measure all the dry ingredients into the jar. Then, attach a pretty string and label, along with a doggie cookie cutter! It’s now ready for gifting to your favorite pooch! When your pooch lets you know he wants to claim his Cheezy Dog Treats gift in a jar, the recipe is super easy and quick to make. Everything you need is already in the gift jar, except the 3 wet ingredients. Just throw them together and bake them up! Fido is sure to be drooling and licking his lips as he waits! In a medium size bowl, crush Cheez-Its, combine all dry ingredients and mix well. 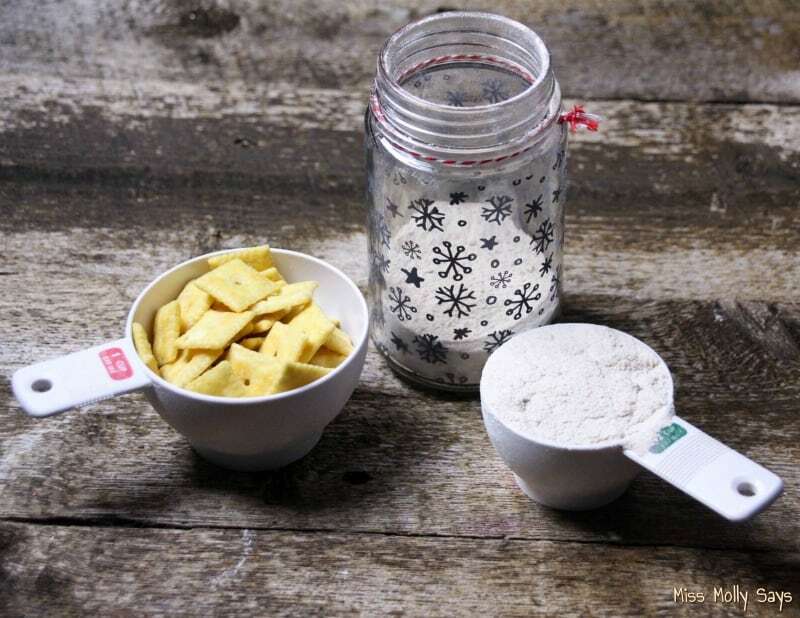 Using a rolling pin, roll out dough on a floured surface to 1/2″ thickness. Using a doggie bone cookie cutter, cut out the dog treats. Allow dog treats to cool. Store the remainder in the airtight glass container in the refrigerator. Using a rolling pin roll out dough on a floured surface to ½" thickness. *Note: Considering the egg and the chicken stock, I would not store longer than a week for safety. This is such a cute gift to give my family members who have dogs they would just love this nice gift idea. Looks so simple to make too. i used to make cookies for my girls. i try to use organic, no gmo’s, no wheat, etc. i prefer all natural products. 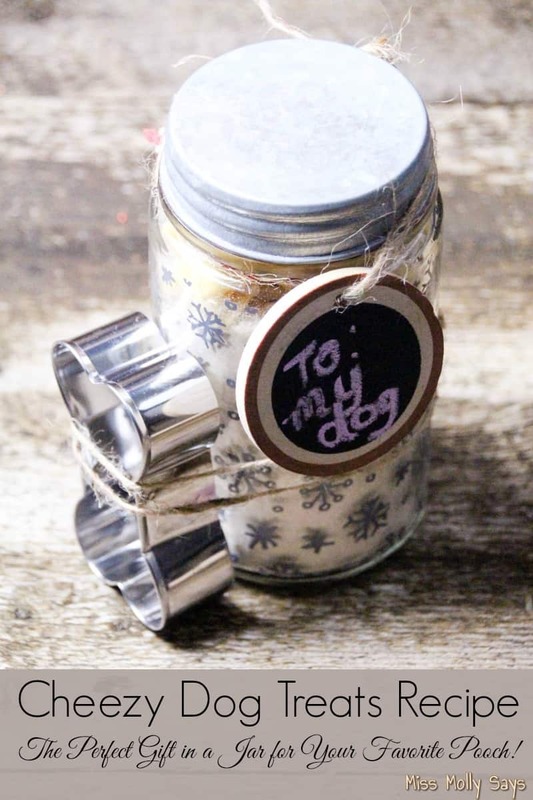 this is a cute idea for a dog lover as a gift though and very easy to make. . The dog will love it . I always look for easy recipes to make and this does look like one of them . My dog is a picky eater and will hopefully like these . Thanks for the Great Idea . 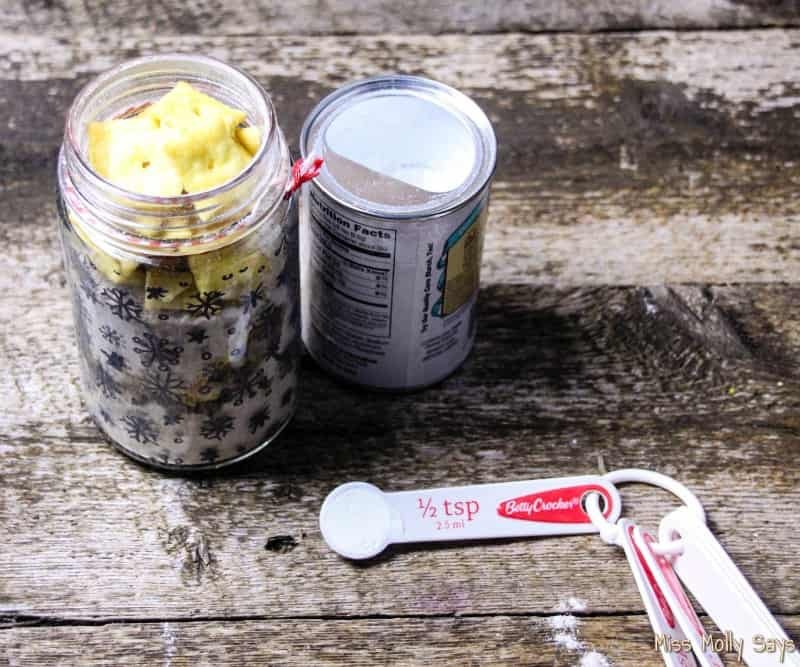 I love the idea of making a homemade treat for my dog. This is really sweet. Thanks for sharing! 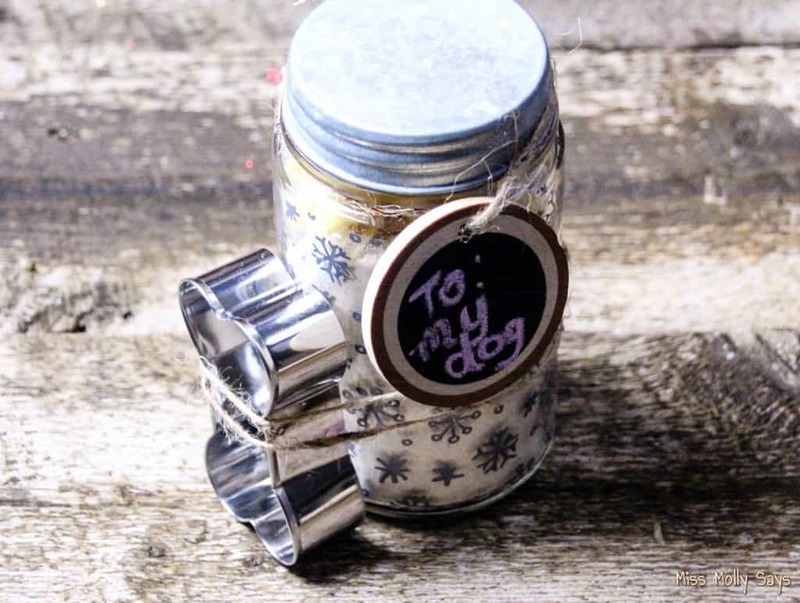 That’s an adorable and fun gift for a dog lover. This is to cute, I bet my dog will love this, thank you for the recipe. am sure they will enjoy this treat. I don’t know of a dog who wouldn’t love this! This sounds very easy for a nice doggie treat! Thanks for the Cheezy Dog Treats Recipe, I will be making these for Lillie & her dog friends! So adorable! my friend is having a birthday party for her 1 year old…. I’m going to make these for them! Thanks so much for sharing at Merry Monday! I know our dogs would love these treats! Thanks so much for sharing with us at Merry Monday. What a great treat this would be for any lucky dog! I think my little Dexter will love these. Thanks for sharing! A very neat idea, for those with pets on my xmas list. This looks like my dogs would love to eat. Cheesy WHAT?!! Again, I’m amazed at the ingredients you use in your treats. I just made a bone broth for my dog infused with ginger and turmeric, for her joints. My dog would love this. Thanks for the good ideas. This is such a great gift idea for a dog owner! This is such a fun idea. I will enjoy making these for my dog and lots of doggy friends as well. Im going to save this receipe and try it. I think my two woukd really like these. I have a picky treat eater and one t h at eats everyrhing!!! This is a fun gift! I like making doggie treats for my pals’ dogs, while I’m waiting to be able to have my own. You know they will love this recipe, and the whole wheat makes it good for them, too!